Why settle for cheap carpet that doesn’t last when you can get more for your money at Portland Flooring & Carpet of Oregon City? The broadest selection of carpets at affordable prices can be found from Portland Flooring & Carpet of Oregon City. For your convenience we have vans running all throughout the Oregon City, Clackamas, and Portland Vancouver area daily. Have one of our estimator-design consultants ‘bring the store to you.’ Our estimators are both friendly and knowledgeable. Aside from providing you with a carpet measure, they are very knowledgeable about the various types and brands of carpets as well as the various fiber types. Our estimator-design consultants will help you select the carpet that’s just right for you! Or, if you prefer, visit our Portland Flooring & Carpet & Tile flagship carpet showroom in Portland, Oregon. Either way you can expect to see a huge selection of carpets from all major carpet brands. Call (503)451-5353 or fill out our online form to schedule with a design consultant–estimator. Or visit our showroom to see our huge array of colorful carpets. Take home as many carpet samples as you need. When you find the right carpet for you, we can install it for you! At Portland Flooring & Carpet of Oregon City, you cut out the middle-man and get direct savings. We can even beat our competitors’ prices with our Low Price Guarantee. Portland Flooring & Carpet of Oregon City offers carpeting designed for durability and that will last for years. To top off a great deal on your new carpet, we provide installation, often times within 48 hours to accommodate our customers. You can expect to get more for your money from Portland Flooring & Carpet of Oregon City. 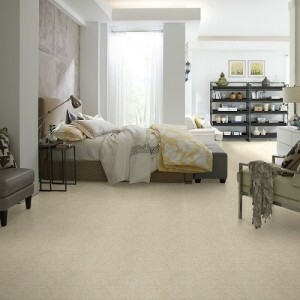 Portland Flooring & Carpet of Oregon City offers you a wide selection of carpet. From sophisticated patterns to colorful solids, our carpet styles come in a rainbow of shades, tones and hues. We buy carpet by the truckload, so there is always a huge choice that will make finding the best carpet easier and more enjoyable. The way carpet is made determines its style and also determines whether it will fit your lifestyle. Style names like plush, textured and frieze indicate what the carpet is composed of, how durable it is, and whether it will show traffic patterns or footprints. At Portland Flooring & Carpet of Oregon City, you can learn all about carpet styles and speak to a professionally trained sales person who will help you choose the right carpet style for your home, rental, or office. Browse our selections online and call or fill out our online form to schedule a complimentary in home measure and design consultation. There are carpets for all areas of the home including active areas where fashion and function are both important in your selections. For these high-traffic areas, you want carpeting that can stand up to tough treatment. Portland Flooring & Carpet of Oregon City has high performance carpet that is as durable as it is fashionable. So you can walk confidently on your new carpet knowing it will remain like new for years. Our friendly professionals at Portland Flooring & Carpet of Oregon City know how to help Northern Oregon and South West Washington businesses look their best. Our professionally trained sales staff can help you find the best carpeting without breaking the budget. Find everything you need in a new carpet, from high performance that will stand up to the harshest treatment to lavishly textured carpets for any room. Whether you need to impress or just get your job done, you deserve the best carpet at the best price. Call (503)451-5353 or fill out our short online form to schedule an estimate today! Portland Flooring & Carpet of Oregon City, where quality is affordable, and has been the Oregon City mobile carpet store of choice since 1995. Portland Flooring & Carpet of Oregon City services the Oregon City, King City, Metzger, Sherwood, and Bull Mountain Communities.